This is the first time i am making Mysore Pak , but to my surprise it turned out extremely well and tasted exactly like Krishna Sweets Mysore pak. I made few batches and packed for my friends when i visited them during Navaratri. When i was searching in google for mysore pak recipes most of the recipes which i have come seen involves 2-3 cups of Ghee. And i finally i landed in here . 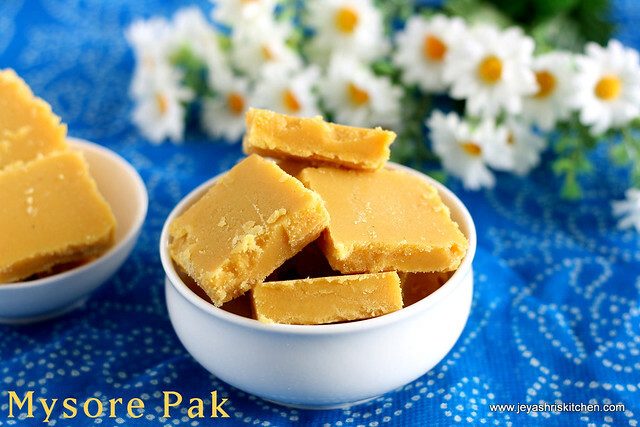 Go ahead to try this delicious soft Mysore pak for this Diwali and surprise your family and friends. 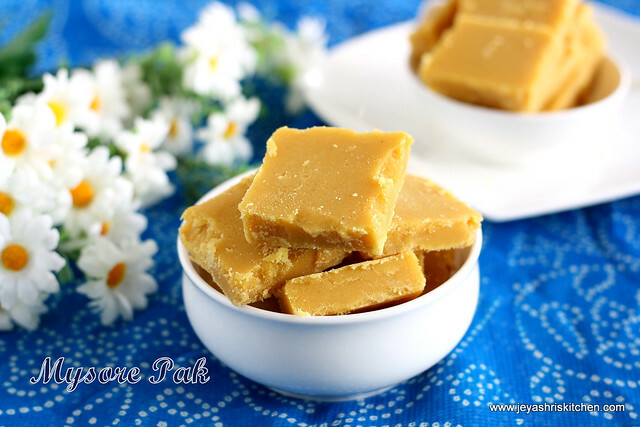 Check my traditional Mysore pak recipe too. Check out the post on consistency of sugar syrup. Keep a tray greased with ghee. 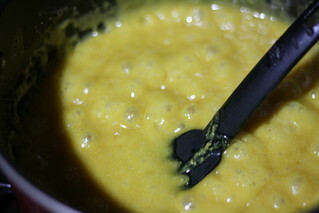 In a pan, preferably non stick add a tsp of ghee and roast the besan in a medium low flame till it emits a nice aroma. It will take 10 minutes. Though the original recipe doesn’t have this step ,as far as i have made the google search most of the recipes have included this step. 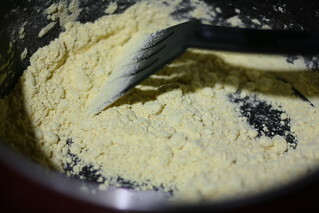 Once done sieve the flour nicely. 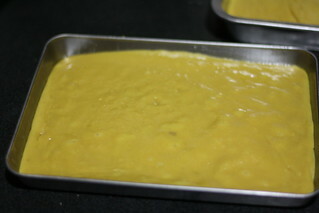 This step is a must as it will give a smooth texture to the mysore pak. 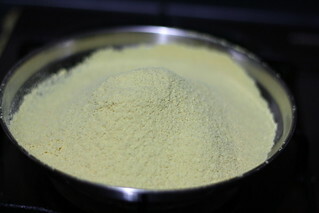 Mix this sifted besan with 3/4th cup of ghee and make a smooth paste out of it. Ghee should not be hot. 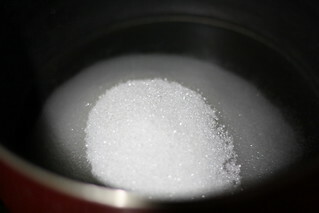 In a deep wide pan,preferably non stick, add the sugar and add 1/2 cup of water. 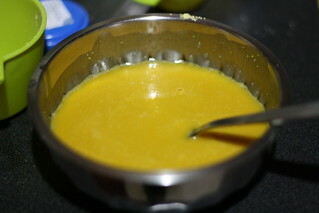 Once it reaches the right consistency, add the ghee and besan paste which we mixed together. The consistency is more important else you will get hard or crumbled mysore pak. 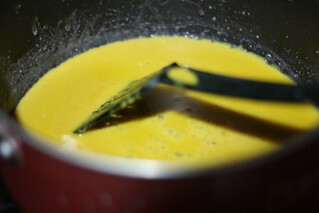 Now keep the flame in medium low and stir continuously adding the remaining 1/4 cup ghee at frequent intervals. Stir it nicely till it leaves the sides of the pan and doesn’t get stick to the bottom. At this stage transfer it to the greased plate. It will spread smoothly. Cut it into pieces with a knife or a pizza cutter when it is warm. 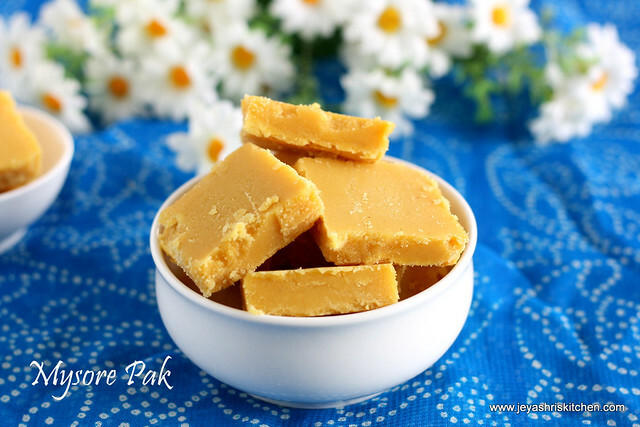 The entire process took just 20 minutes and as mentioned in the original recipe after adding the besan mixture to the sugar syrup it took less than 10 minutes for the mysore pak to get ready. One string consistency is a must and be careful not to miss it out . At last also, when the mixture doesn’t gets stick to the bottom transfer it to the greased plate. Wow Jey romba tempting irukku..Super Duper !! 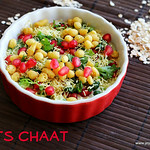 I make it exactly the same way but as said this is a pure festive recipe with so much ghee going in. gorgeous dish. Gr8 ! first attempt itself u got a perfect shape ! kind of diff sweet ! Looks tempting Jeyashri. 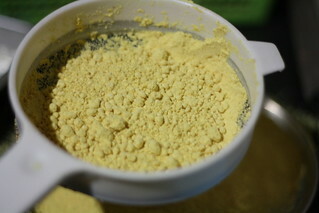 Even I did not want to use the tons of ghee. As such it is a rich sweet. Inviting pictures. tried the traditional kinds once..but am too tempted to try this recipe very soon..looks awesome..
Love this soft mysore pak.. Nice presentation. surely trying it, i never do mysore pags due to ghee, as far as i was told, its 1 measure kadalai maavu, 3 sugar and 3 ghee, (its scary right (: }will try this thks jai. 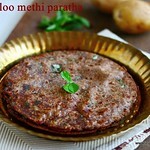 Thats surely a mouth melting mysorepak,even am scared to make them coz of the amount of ghee, beautifully done. Perfectly done!!! thks for sharing a ghee less recipe!!! wish i was ur neighbour. can try this beautiful sweet. Raji is lucky...nicely done. my fav sweet. super tempting. hey so yummy and mouth watering.Just feel like grabbing it right away.Btw u added only 1 cup of sugar for 1 cup of besan?Generally it is 1:2 ratio right? I tried this last weekend.. Perfect. As you said not more than 20 mins. Thanks. mysore pak does looks like krishna sweets. when we say mysore pak first thing pops is u have to add lots of ghee. i think ur version has little bit less. great. advance deepavalli wishes. Thank you and wish you a very Happy Diwali! Hi thanks for the recipe. i just did today for pongal..and it turned out really well. This is the first time i am trying mysore pak. I did a slight variation in sugar and ghee. I added 1/2 extra of both. hi Thanks for the recipe. i tried today with slight variation of 1/2 cups more of sugar and ghee. It turned out so well. This is the first time i am doing mysore pak and i feel so happy for it came out well. My husband and kid liked it very much. Thanks a lot for the recipe and the pics were very much helpful.. Thank u so much for trying out suja. Perfect way to surprise ur hubby. Wish him a very happy birthday. Tried this just now...results were amazing! 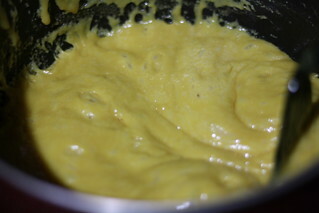 Just that it did not have the golden hue as you've shown it...may be i need to roast the besan a little more! This recipe is for keeps! Thank you! Thank u for a wonderful recipe tried it with amazing results! dear friend the ratio didnt wrk ya...yestday i prepared it and it become a grt flop.while adding the batter it bcom dry in the bgng itself..wht can i do? Can u please elaborate what happened to you. I have tried it so many times and never failed. 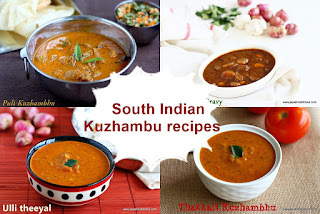 Even i have many readers tried out this recipe and came out perfect. Hi..I have tried Msore pak at least 10 times and it has never come out right. Today, I tried it by following your recipe to the T. The sweet came out so soft that I am super thrilled. Been giving everyone (including maids :)) coming home. Thank you so much for sharing this recipe. Tried this yesterday... It came out perfect.After trying many recipes, this one turns to be easy and tasty. I tried your recipe today as you mentioned..Thank you so much for posting this recipe..
Can you post the recipe of horlicks mysore pak? Nandini sweets of Bangalore is famous for horlicks mysore pak and believe me it tastes really delicious. 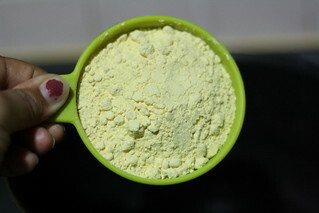 Please post the recipe of horlicks mysore pak. Nandini sweets of Bangalore is famous in making horlicks mysore pak. as said I made the pieces it came out well but at the corners it is hard I think I should have added the besan ghee mix before a minute I guess rest it tastes so good.. This is the first time am trying mysore pak, to my surprise and shock, it came out great, it was melting in mouth mysorepak. Thank you jeyshri. Also, i somehow found the 1 string consistency. Good work. Thank you very much. I enjoy your posts. The mysorepak came out well but I also get the besan flour taste and the bitterness of the flour at the end. Also, the roasting, even in low flame, starts to brown the flour. I could not get the glowing yellow colour that you get. What did I do wrong? 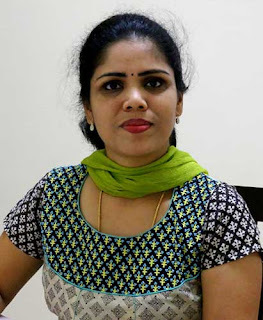 Hi jeyashri! 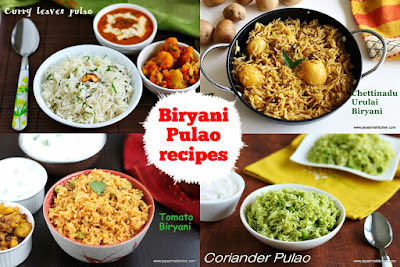 I have tried many recipes from your blog and it came out very well. The way you explain really motivates us to try it out.Thanks! 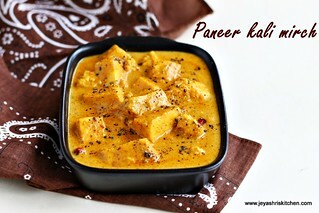 Hi Jeyashri thanks for your recipes..
My mother is telling 1:3 ratio to make this but yours is 1:1 why so much difference. It is the traditonal mysore pak which your mother is mentioning. I have one more variety of mysore pak which calls for 1:3 ratio. But this one comes out perfect and awesome. 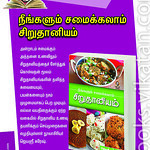 Hi!Jeyashri,love ur recipes. Don't know y my last post did not post about the mysorepaak. I tried the recipe 3 times n failed!! Then on the 4th day...I said let me give it one more try!! It worked...my dream of making mysorepaak finally came true!! It was not smooth , a bit grainy..so I think I need not to stir the sugar syrup..will try again..till I can perfect it..how would you make Horlicks mysorepaak..? 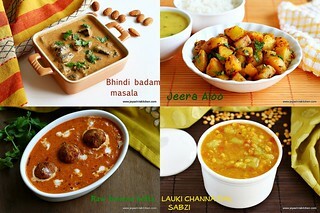 Can't wait to see that n try it...thanx for ur super helpful recipes. Hi I am holiday and so the delay in reply. Glad u got it right. It generally comes out fantastic. The sugar syrup consistency is the key. Till now tried this about 12 times, only came out twice!! This is my fav..but y doesn't it work every time. .going nuts...today again like caramel..so I reheated and put a bit of water to melt it back..ouch...now like halwa!!! Tomorrow is my bday..that's y I thought I would try. .no luck..I know it works coz it's come out OK twice..what am I doing wrong. ? Monday I start back on my diet so no more MP!! On the happy side ..it's a real tasty halwa!! UPDATE..made it this morning. .came out perfect!!! I think I let the sugar syrup go a Lil more than one string..and used ghee one cup..but not melted..just room temp..whew...will try one more time to make sure..I'm not dreaming. ..thanx..for u r feedback. 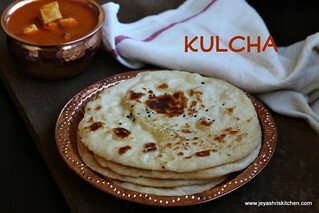 .I'm also going to try this recipe with fresh almond paste..1 c..1 c sugar..1 c ghee..let's c!! So excited. .that my mysorepa came out good today..thanx..
Hi.. my Mysore Pak came out extremely well last time. It was just perfect. However, this time even after cooling down to room temp it's still not setting. Any idea what went wrong? The one string consistency must not have come or you have taken it earlier from the pan in the last stage. 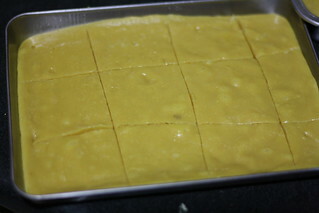 Hi Jeyashri, tried this Mysore Pak recipe for this year's Deepavali and it came out very well. Thank you very much.